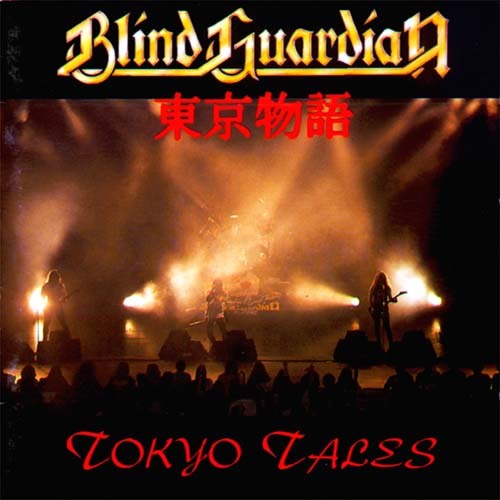 Tracks 1, 2, 9 and are from "Follow The Blind"
Tracks 3, 5 and 7 are from "Somewhere Far Beyond"
Tracks 4, 6, 10 and 11 are from "Tales From The Twilight World"
Track 8 is from "Battalions Of Fear"
Japanese LP Version has "Lord of the Rings" (03:52) as track 11 and "Lost in the Twilight Hall" and "Barbara Ann" as tracks 12 and 13. Reissued by Century Media in 2000. The 2007 remaster is the same as the Japanese version above. The Japanese signs / Kanji on the cover (東京物語) mean "Tokyo Tales". Recorded at Koseinenkin Hall, Tokyo on December 4, 1992 and at NHK Hall, Tokyo on December 6, 1992 by Tamco Recording Mobile. Mixed at Karo Musik Studios, Brackel / Hamburg in January 1993. Mixed at Karo Music Studios Brackel/Hamburg in January 1993.